Norway and Mongolia made amends with China almost simultaneously last December, to normalise relations after being sanctioned for tolerating, respectively, a Nobel prize to a Chinese dissident and a Dalai Lama visit. Despite the similarities between the two countries’ statements of (non-)contrition, a closer analysis suggests that Mongolia conceded less to Chinese pressure, despite higher economic stakes. Such an analysis, based on an examination of Mongolian-language sources, has been missing from most western reporting on the issue. Instead, headlines have largely echoed Chinese state-media reports, earning them a rare triumph in the struggle for global ‘discourse power’ (huayu quan 话语权). Lessons from Mongolia can help assess the value Norway’s concession has for China as foreign policy goods, as well as gauge to what extent it was ‘forced’ or necessary. A proper understanding of China’s sanctions and their effect on Norway should inform policy making in the Arctic region, where China’s engagement can only be expected to increase in the medium term. Now they’ve been successfully tested, boycotts and sanctions could be deployed again, should civil society in any of the region’s democracies clash hard enough with the ‘core interests’ of an authoritarian power. Both Norway and Mongolia produced statements that ritually acknowledged Chinese national interests and mentioned the events that triggered the sanctions, without a literal apology. In the Norwegian case, the statement took the form of a joint declaration signed in Beijing by both foreign ministers, in matching Chinese and English versions. Relations “deteriorated”, the statement reads, “[d]ue to the Nobel Peace Prize award [to imprisoned writer and activist Liu Xiaobo 刘晓波] and events connected to the Prize.” Norway “is fully conscious of the position and concerns of the Chinese side and has worked actively” to restore relations. 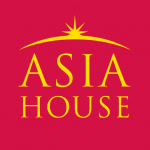 It “fully respects China’s development path and social system”, is committed to the One-China Policy and “attaches high importance to China’s core interests and major concerns” and “will not support actions that undermine them.” Later Chinese statements mostly echoed the agreed phrasing, a privilege Mongolia wasn’t granted. Foreign minister Wang Yi 王毅 embellished it somewhat: Norway had “deeply reflected on the causes that harmed mutual trust” and had “conscientious and solemn consultations” with China. China froze diplomatic contacts with Norway in 2010, as Liu’s Nobel Prize “disrespected China’s legal system.” Without officially announcing economic sanctions, China significantly reduced direct imports of Norwegian salmon, likely the most representative Norwegian product for Chinese consumers. Norwegians were excluded from a visa-waiver programme. Academic cooperation was hindered, as Norwegian researchers had trouble obtaining visas and Chinese institutions became reluctant to work with Norway. However, while some Norwegian businesses, institutions and individuals were hurt by the sanctions, their effect on the overall economy was negligible. China’s trade leverage was limited to begin with, since the country isn’t a major destination for Norwegian exports. But even that leverage wasn’t used (as an extended version of this piece details), China’s share of Norwegian exports actually increased during the six years of the boycott. Even ignoring sales of oil and gas, Norway’s exports to China grew faster than to the rest of the world during that period. Norway’s seafood exports kept growing throughout the boycott. To see any real impact we have to look at the Norwegian salmon industry, whose share of the Chinese market did indeed fall abruptly immediately after the start of the boycott. That impact, however, was far from crippling. Xianwen Chen (陈贤文) and Roberto J. Garcia combined analysis of trade data with field interviews in Norway and China to assess the effects of the Chinese salmon boycott, whose success has been exaggerated by reports relying solely on official trade statistics. Chen and Garcia show that both Chinese and Norwegian stakeholders used a number of ‘sanction-busting’ tactics. These included shipments from Norwegian-owned farms in the UK, the Faroe Islands and Chile, the main beneficiaries of Norway’s market share loss. The most salient sanction-dodging strategy, however, was shipping through Hong Kong and, especially, Vietnam. Vietnamese imports of Norwegian salmon sky-rocketed in the first months of the boycott. Assuming, as seems safe, that the bulk of this salmon was smuggled into China, Chen and Garcia conclude that Norwegian salmon exports to China actually increased after the boycott. In short, while salmon exporters would prefer not to be boycotted, an existential threat never existed. Beyond the confines of the salmon industry, economic cooperation continued. Despite the sanctions, COSL (中海油服) won contracts with Statoil, Norwegian suppliers equipped Chinese research ships and China made its first foray into Arctic transport infrastructure, the steelwork for the Hålogaland bridge. In short, the sanctions were designed to maximise media impact, letting the public in both countries know that Norway was being punished for tolerating a challenge to China’s treatment of dissent, while bilateral trade was largely spared. The Norwegian government sees the normalisation of relations as a victory and hopes to resume negotiations towards a free trade agreement with China. to be the third in the European single market. Although critics have called the joint statement “humiliating” and wondered what “core interests” and “concerns” Oslo has promised to respect, the local backlash mostly came from known commentators on Chinese issues. Norway’s concession, which in practical terms simply restates old policy, likely has no electoral cost. Even if much of the renewed cooperation, such as the FTA and joint work on polar research and governance, is overwhelmingly in China’s interest and could have materialised anyway, it can be argued that Oslo’s deniably contrite declaration was a small price to pay given the advantages of normal diplomatic relations with the world’s second largest economy. 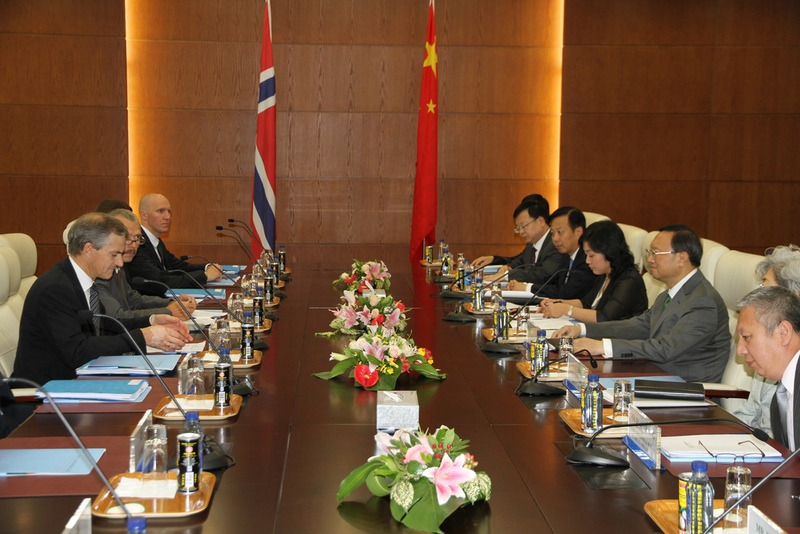 Norway’s concession is, however, of considerable value to the Chinese government. It states Norway’s respect for Chinese interests, while ignoring such presumable Norwegian concerns as the independence of the Nobel committee, economic sanctions or the advancement of human rights. By design, the agreement warrants a Chinese construal as a display of Norwegian contrition. More importantly, it serves as proof-of-concept for ‘subtle’ sanctions as a foreign policy tool in northern Europe. Would China have settled for less? Is such asymmetry the new normal? Mongolia’s experience can provide a useful comparison. China’s response to the Dalai Lama visit last November used similar tools: official protests, cancelled meetings (including, crucially, negotiations on a badly needed loan) and plausibly deniable trade sanctions (border tariffs). The Mongolian government consistently denied it had anything to do with the (strictly religious) visit beyond issuing the Dalai Lama a visa. Roughly a month after the visit, a government position began to emerge through local media. Unlike in the Norwegian case, there was no joint statement. The closest were Chinese and Mongolian readouts of a call during which Mongolia’s foreign minister “restated the position previously made public through Mongolian media” and China expressed satisfaction with that. Western reports, those by experts on Mongolia excepted, largely described the Mongolian position as a “ban” on future Dalai Lama visits. That would make the Mongolian reaction a true breach with previous policy, and indeed a bigger victory for Chinese sanctions than in the Norwegian case. However, an examination of Mongolian-language sources shows talk of a visit ‘ban’, traceable to a Xinhua story, to be inaccurate. The source of the Xinhua story is an interview with foreign minister Ts. Mönkh-Orgil published in Ödriin sonin on December 20. In it, he reaffirms Mongolia’s commitment to the One-China Policy and Tibet as an “inseparable part” of it. The Mongolian government “regrets that His Holiness the Dalai Lama’s visit to Mongolia, at the invitation of Gandantegchinlen monastery, led to a misunderstanding [үл ойлголцол] and negatively affected relationships between the two countries.” Asked when the Dalai Lama might come again, Mönkh-Orgil said that the government wouldn’t invite him, same as it had not in the past, because of the policy of separation of state and religion. The crucial statement is that “it’s understood that the Dalai Lama will not visit during this government period, even for religious reasons.” The phrasing, repeated in later media appearances by Mönkh-Orgil and other officials, is claimed to reflect the content of a letter from Mongolia’s premier J. Erdenebat to Li Keqiang delivered by a Mongolian parliamentary delegation in early December. An actual ‘travel ban’ such as reported by Xinhua and mainstream English-language media could conceivably be promised in that letter, which has not been made public, but I’m not aware of Chinese or English-language reports claiming to know its contents (or existence). In a rare victory, Chinese state media managed to influence the global narrative on the Mongolian reaction. A major aspect of the Dalai Lama visit was his announcement that the 10th reincarnation of the Jebtsundamba Khutugtu, Mongolia’s highest lama, had been born in Mongolia, although he’s too young to be publicly enthroned. As I [will] discuss in a separate piece, the reincarnation issue is close to the PRC’s ‘core interests’. The Jebtsundamba is one of the highest lamas covered by Qing reincarnation policy, which the Chinese government uses as a basis for its rebirth management jurisdiction. Such a senior reincarnation left China with a difficult choice: let Mongolia and Dharamsala challenge its Qing-inherited prerogative, setting a precedent for the Dalai Lama’s next reincarnation, or try to meddle in the selection of a foreign religious leader. Mongolia’s public position on the Jebtsundamba issue is that it’s not a government affair, although an understanding exists that Mongolian, rather than “outside” lamas, would take care of his eventual enthronement. Although some ‘meddling’ was likely attempted, China has to tolerate an uncomfortable reincarnation. In short, Mongolia’s response to Chinese sanctions does not involve an apology or a change in policy. It certainly is a concession to Chinese pressure, but an ambiguous one, designed to be spun as a Dalai Lama ban, while letting Mongolia interpret it as a simple belief that local organisations will happen not to invite him again under the current parliament, i.e. until 2020. The Dalai Lama has visited Mongolia nine times, on average every 4.6 years; even if China has been secretly promised a ‘ban’, it would seem rather abstract. Moreover, the practical implementation of such a ban would be a refusal to grant the Dalai Lama a visa should he try to visit again, but the head of the Mongolian delegation that delivered the premier’s letter to China denied such a refusal had been discussed. Without such an asymmetric statement as the one signed by Norway, and indeed with an assertion of its policy of non-intervention in religious affairs, Mongolia is seeing a normalisation of relations with China. Chinese sanctions can inflict serious damage to Mongolia as it is dependent on China for four fifths of its exports and faces a sharp fall in foreign investment, debt payments, and the possibility of a recession. Unless evidence of harsher, secret concessions emerges, we can say that Mongolia is ‘normalising’ relations with China through a better deal than Norway was able to negotiate, despite staggeringly higher stakes. The fact that China had to resort to misrepresenting Mönkh-Orgil’s statements shows the difference in propaganda value of what its sanctions could exact from Mongolia and Norway. The effectiveness of sanction pressure on Norway, despite China’s restricted economic leverage, has consequences for the larger region. Engagement with China on trade, research or Arctic governance is mostly beneficial to regional stakeholders. It has, however, costs in terms of immaterial goods. It’s only natural for the ‘core interests’ of an authoritarian regime to clash with freedom of expression, as in Norway, or religion, as in Mongolia. As Chinese leverage in the region inevitably increases, policy tools such as the sanctions successfully tested on Norway will be available for more effective deployment against future “disrespect” of China’s core interests. The normalisation of sanctions could, in turn, normalise a degree of extraterritorial enforcement of the Party-state’s policies on dissent. Jichang Lulu is an independent researcher and writes frequently on China’s interests in the Arctic. Image Credit: CC by Utenriksdepartementet UD/Flickr. Islamic State in Central Mindanao: A Strategic Blunder?